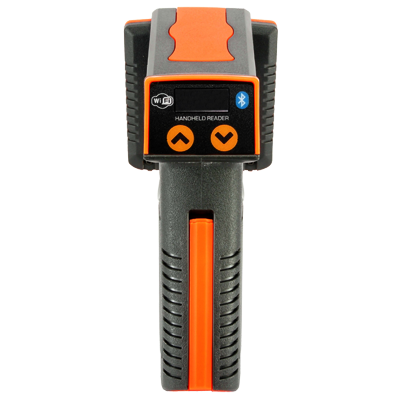 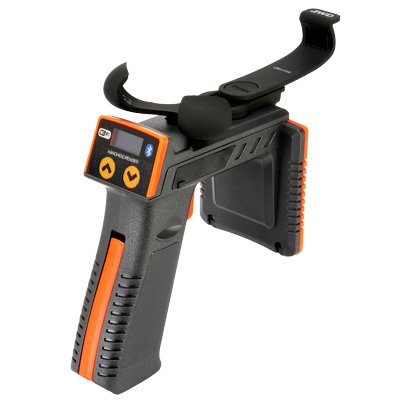 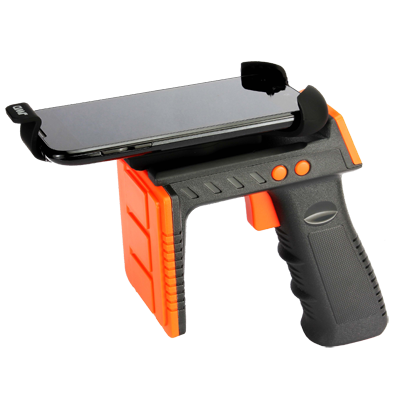 WENSHING UHF RFID Handheld Reader complies with EPC Class 1 GEN2,ISO18000-6C and IS18000-6A/B, provides user with low cost and high flexibility efficient use. 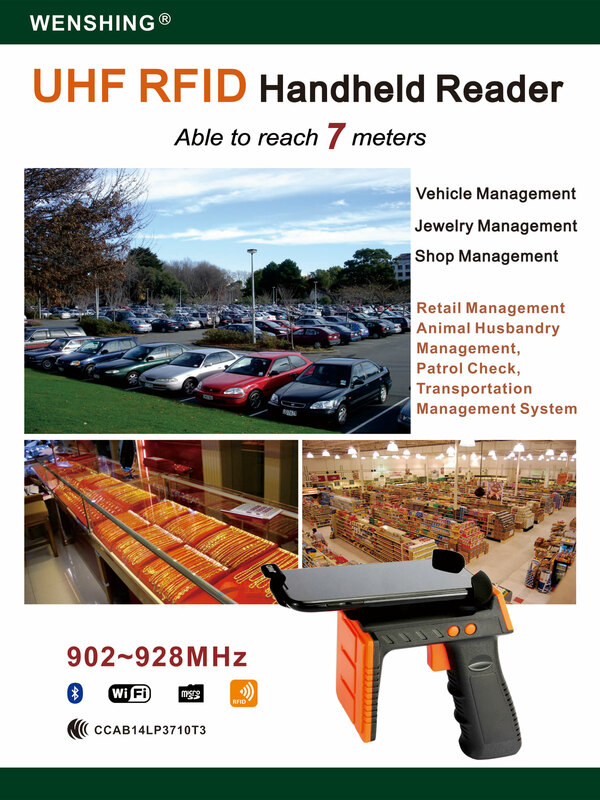 Variety in applications which ranges from merchandise, library management, warehouse production process controlling, assets management...and so on, with high convenience and capacity. 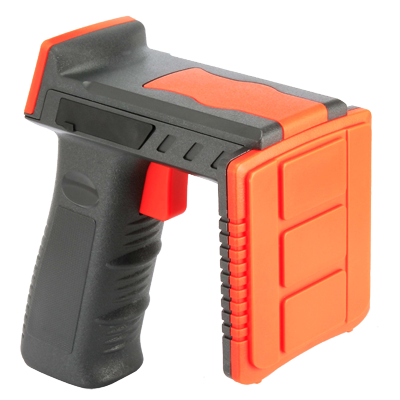 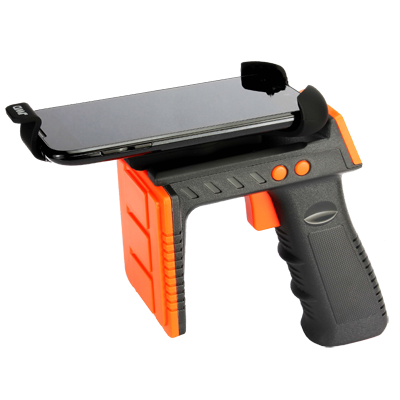 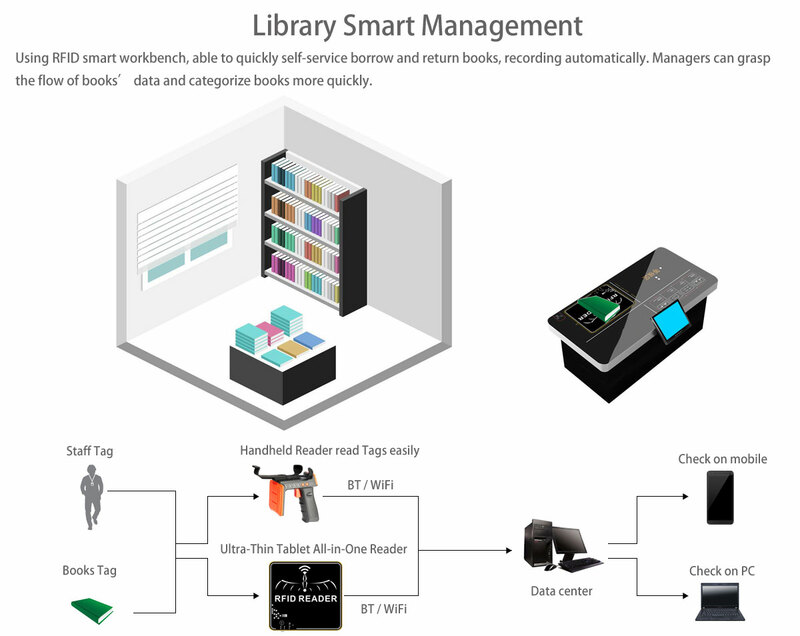 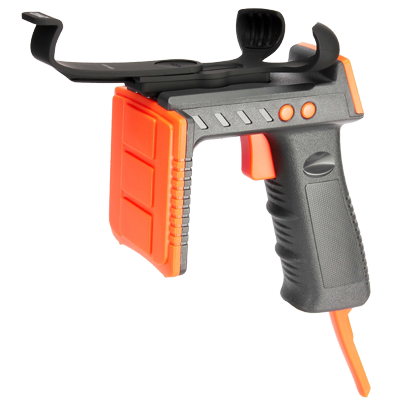 For the data transmitting, receiving and writing the tag, RFID handheld reader able to connect smart phone, PC and Notebook via bluetooth or WiFi. 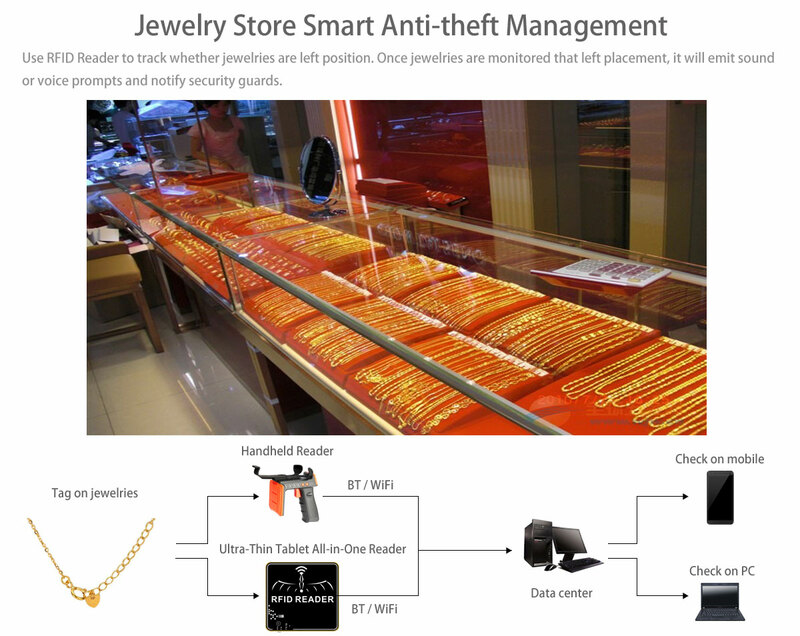 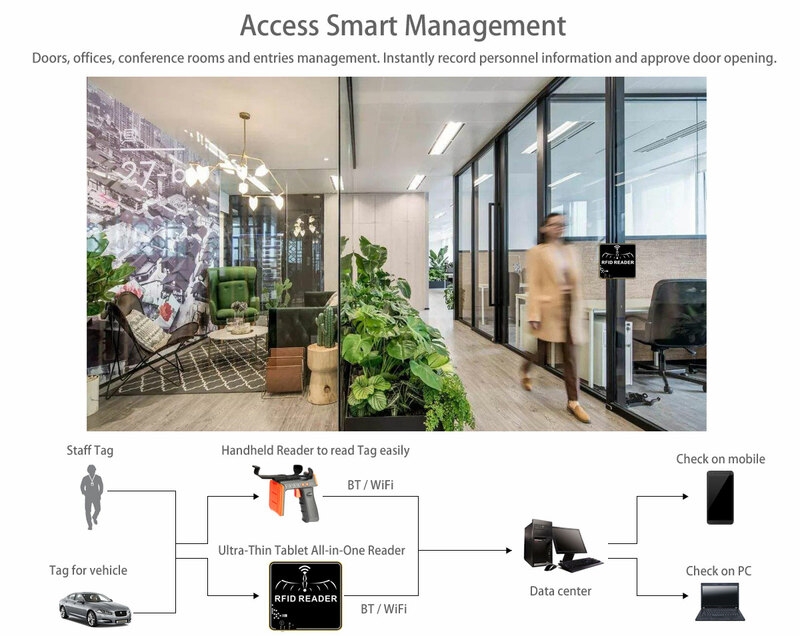 Installing application on your smartphone and seized by the phone holder, the smart phone will then become an Independent operating management system for the tag, it substantially increases the efficiency. Exclusive two-stage switch, 1st stage for long reading range, 2nd for short reading range, it improves on the time of searching subject, more faster and efficiency.